Guidebook to cycling Lôn Las Cymru, a 255 mile (410km) route from Cardiff, or 242 mile (390km) from Chepstow to Holyhead, showcasing Wales's beautiful rural heartland. Cycling is on quiet roads and traffic-free paths, and although there are some mountainous sections, gradients are mostly gentle. The route can be completed in 4-7 days. The best time to go is between April and October when the days are longer and the weather is at its best. The route passes through many of the main towns in the Brecon Beacons, Black Mountains, Cambrian Mountains and Snowdonia National Park. The route can be ridden as a leisure ride or as a challenge and there are schedules for both types of rider. There are mountainous sections in Mid Wales but gradients are never severe and some, such as that up the Vale of Ewyas, barely perceptible until the very top. Lôn Las Cymru runs from Cardiff or Chepstow to Holyhead, passing through the heart of Wales. Translating loosely as Wales' Green Lane, it is the preeminent cycle route in Wales, passing through lush countryside, and following quiet lanes and former railway lines. 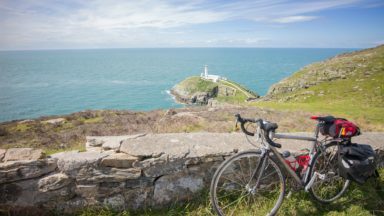 Guidebook to cycling Lôn Las Cymru, a 255 mile (410km) route from Cardiff, or 242 mile (390km) from Chepstow to Holyhead, showcasing Wales's beautiful rural heartland. Passing through the Brecon Beacons National Park, Snowdonia National Park, and over the Black Mountains, the Brecon Beacons and the Cambrian Mountains, the route is as scenic as it is rewarding. Divided into 5 stages, the route (which follows quiet roads and traffic-free paths) is described from both Cardiff and Chepstow. 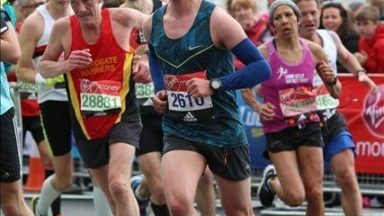 Accompanying route description for each stage is 1:100,000 mapping and elevation profiles, giving a clear indication of course. Suggested summary schedules from both start destinations are included, detailing possible 4 to 7 day cycle options. Also included is handy practical information about transport to and from the route, accommodation en route, baggage transfer options and preparing your bike. 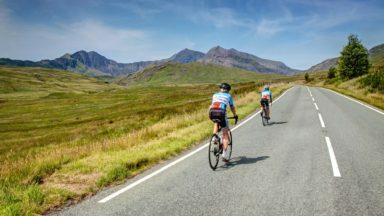 As well as taking in some of the most stunning and diverse landscapes in the British Isles, Wales’s preeminent cycle route passes by an impressive array of interesting historic sites, as well as pretty villages and interesting towns, making it a ride to remember. 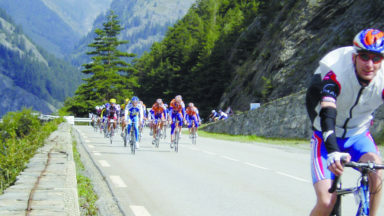 wales and cycling could reasonably be described as one of those hand-in-glove situations, following geraint thomas' victory in this year's tour de france. this is not to suggest that the country has been left derelict when conversation turns to velocipedinal matters, but after prince bradley and froomey, at least the emphasis has moved a tad west for a change. but, just as wearing a pair of specialized peter sagan shoes will scarcely make you eligible to wear the rainbow bands, neither will a potter about the lanes of cymru prepare you for those three weeks in july. thankfully, for us mere mortals, cicerone press are not noted for their sporting excesses, happy to remain more concerned for the geographical well-being of the more average touring cyclist. author and cyclist, richard barrett has produced a compact and bijou volume detailing, as evinced by the book's subtitle, '250 miles through the heart of Wales on traffic-free paths and quiet roads'. a far cry indeed from the cobbled streets of the champs elysées. this beautifully illustrated and detailed guide does not, however, require that the average cyclist, as mentioned above, attempt to swallow each and every one of those 250 miles in one fell swoop. 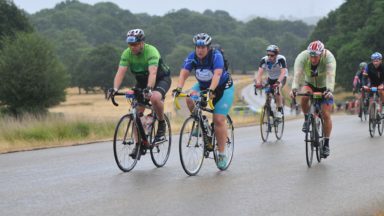 rather than place hitherto unheard of demands upon the more casual cyclist, barrett has split the distance into five considerably easier stages, leading from the start in cardiff and ending farther north in holyhead. as is frequently the case with cicerone guides, options abound; there is really no need to undertake the stages in the order prescribed by the author, or, for that matter, to ride all of them during one visit. after all, geraint might be busy elsewhere that week. the best bits of a cicerone guide, in my opinion, are contained within the opening pages, the portion of the book that prefaces any impending cycle tour. in this particular case, pages 8 and 9 offer a highly informative map displaying the route in its entirety, with corresponding distances appended along the way. and a matter of ten or so pages later, there's a diagrammatic rendering of railway stations adjacent to lôn las cymru, should you wish to jump from here to there, without turning a pedal (so to speak). to aid in the planning of any such cycling trip, with times based on an average cycling speed of 16kph, barrett has provided colour coded suggested schedules based on four, five, six and seven day expeditions. he also points out that the very existence of lôn las cymru can be laid at the door of the unwitting richard beeching who, in the early 1960s, recommended the closure of one-third of the uk's railway network. some of those former rail routes have subsequently found themselves absorbed into the national cycle network, along which portions of lôn las cymru will take the intrepid cyclist. lest you have thoughts of your trammeling across wales leading to your becoming the next geraint thomas, the author smartly disavows you of that notion by advising that you 'Leave your best carbon frame and carbon wheels at home.' and subsequently that you 'Attach a bell, which is essential for negotiating pedestrians on shared-use paths. 'however, it is not solely cycling matters that are uppermost in his mind, publishing as he has, a list of 'Ten (culinary) specialities to try when in Wales'. 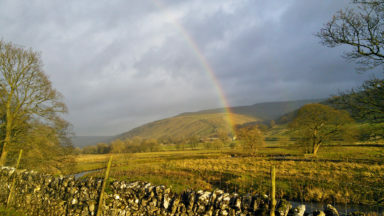 the routes themselves feature not only step by step directions to ensure you enjoy your ride and the scenery, without ending up in deepest yorkshire due to a wrong turning. these are peppered with box-outs describing aspects of the surrounding area that you may find interesting. there is nothing worse than returning home to discover that you'd missed some (or all) of the more notable points of interest. it's perhaps a mite late in the year to be setting out on a 250 mile adventure, the length and breadth of the welsh nation, if only because the weather may not offer the succour you'd hoped for. however, it's never too early to start planning next year's cycling trip. 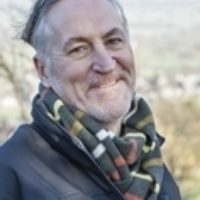 Richard Barrett spent his working life as a professional marketer, but still found time for climbing, winter mountaineering and sea kayaking. He first visited the Harris hills as a teenager and became a regular visitor. He lived in North Harris for a number of years, where he and his wife ran a guest house and, although now a city-dweller, he still makes frequent forays to the Hebrides, reconnecting with the wilderness and catching up with old friends.